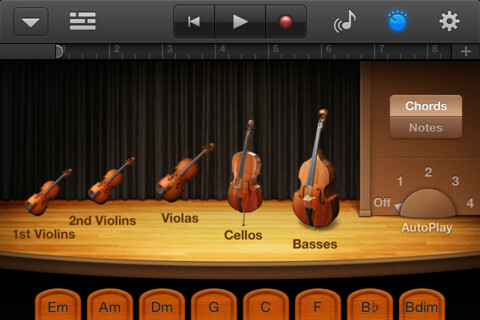 GarageBand is hands down one of the most impressive apps you'll find on the iPad. 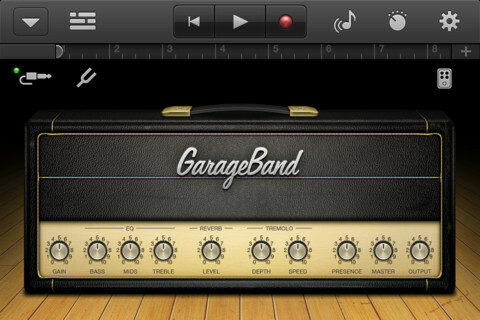 It was created by Apple and is an extension of their GarageBand for Mac. You can use either one separately though, don't worry. 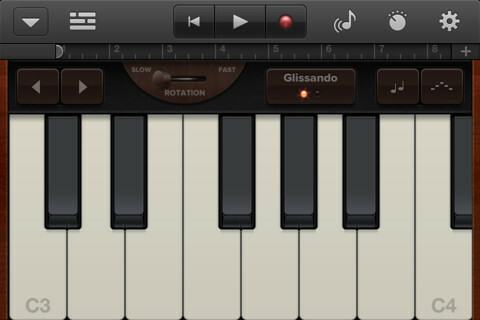 It enables you to make music anywhere you are, just add some musical talent. Scratch that, you can actually get quite far and create results that aren't that bad, even without a lot of musical talent. The app is intended for both the pro (or semi pro) musicians who can now work on their musical projects everywhere and it gives good enough tools so that beginner musicians and amateurs can play around with it and have a good time creating music. The way the app works is very similar to a traditional music sequencer where you separately lay down track and can then edit them. You start off by choosing an instrument. 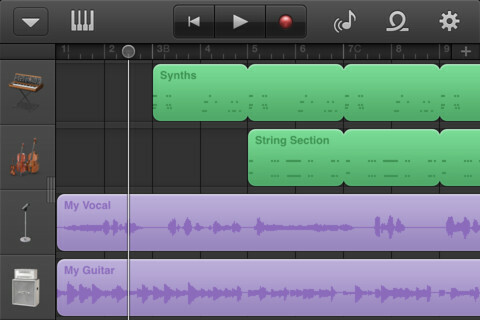 That includes guitars, keyboards, drums, audio tracks, and a sampler. You can also choose smart guitars, keyboards, and drums if you want to easily lay down tracks without having to manually play these instruments. The smart instruments let you just record chord progressions and choose different presets of "auto-play" which are patterns that play along with the chords/notes you chose. The smart instruments make it really easy to record the basics of your song (for example to setup the drums and the bass line). You can then modify the patterns that the smart instruments created for you so that they are 100% like you want them to be. If you want you can manually play the virtual on-screen instruments, or just use them on specific parts of the song (for example I added crash cymbals to the right spots in my song). 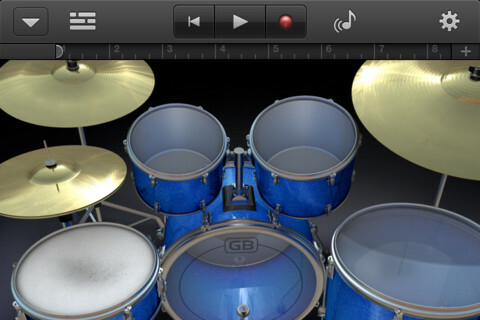 Every one of these virtual instruments is really polished, Apple outdid themselves with this app. You continue layering tracks on top of each other, just like you would in a professional recording studio or with any track based sound recording software. When you've completed your creation you can export it as a standard audio file or you can export it in GarageBand format and continue to work on it on the Garage Band that comes with all Macs today. GarageBand is a beautiful universal app that will on both your iPhone and iPad but I think you really aren't doing it justice if you're using it on the iPhone. It costs $4.99 which is not bad considering how complex it is and how many things it lets you do.